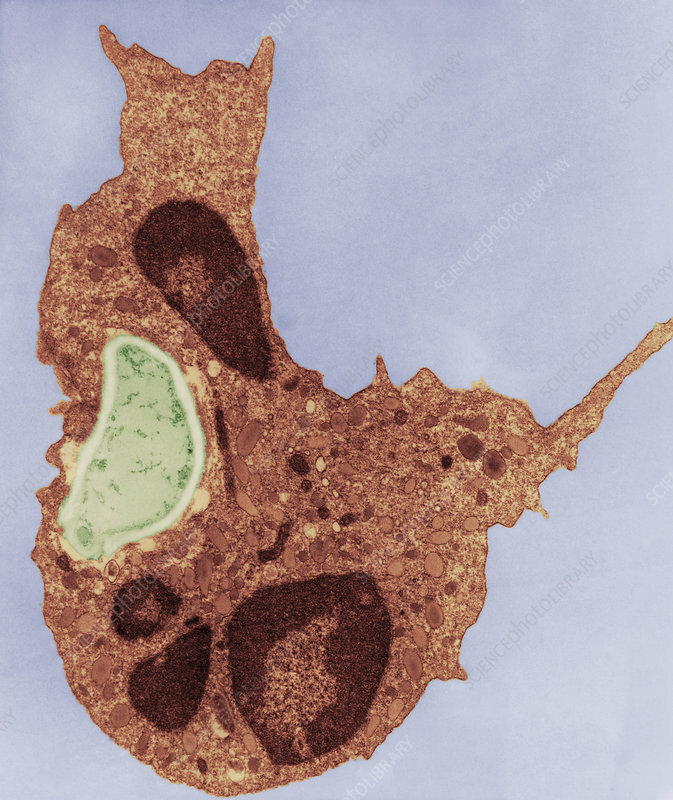 TEM (transmission electron micrograph) of human white blood cells (polymorphonuclear leucocytes) provided with food in the form of the outer coates of yeast cells (zymosan, or yeast cell ghosts) which had foreign protein absorbed on them. The images show stages of phagocytosis by the pmn's of the yeast. Magnification: 20,000x.